Distance Learning itself. At my institution, we are scratching our heads a little bit wondering why we have an above average number of enrollments in our distance learning courses. The same enrollment boom is occurring at other institutions like Bryan College. However, if you do a quick Google search and read a few reports it is clear that the pundits have been predicting that distance learning enrollments will rise. Student seem to be gravitating towards learning opportunities that are not tied to them having to be in any particular location at a prescribed time during the day or week. So called ‘anytime, anywhere’ learning. They enjoy the flexibility of distance learning away from the traditional 1-hour (or 3-hour) face-to-face lecture format. So Distance Learning itself is a really hot concept. Be sure your institution plays into the needs and wants of today’s students. When you design your distance learning courses, lean towards asynchronous models that do not prescribe the students to assemble (even virtually) at any particular time during the week. These synchronous models can be less attractive to students especially if they reside in a different time zone that the host institution. If you cannot avoid some synchronous activities in your distance courses, then be sure to be up front with your students and clearly state the degree of synchronous commitment expected of students before they register in the course. Mobile learning. With each passing set of Christmas holidays, more students find themselves joyful recipients of an iPad, iPhone or other fancy tech thingy under the tree. The number of students that come equipped with tablets, smartphones, e-readers and other gadgets is increasing quickly. They are using these gadgets daily for numerous activities and the mobility affordances provided by these items is very attractive to users. Leverage this trend and be sure that your course materials are mobile friendly. PDF files can help but if you want to go one step further, try ePub and Kindle-specific MOBI files. With just a little more effort on your part (more info here), you can provide students with choices in the file formats for their course materials. Choices usually equate in the short run to student satisfaction. Satisfy your students’ desire for mobile learning by making your course materials mobile friendly. eTextbooks. The tide is turning (albeit slowly) in the publishing industry. Attention is slowly drifting away from the model of having a hardcopy textbook with associated electronic resources online towards a more student-centered model of have an integrated electronic textbook that students can either rent or buy, and store on their own electronic devices. With each passing semester I learn from my students that they are interested in these digital versions of textbooks (sometimes it's because they may cheaper than hardcopy!). For example, I just received an email last week from a student expressing great joy because the publisher of the textbook for my course was providing a Kindle version for sale. The idea of keeping all his textbooks assembled into his tiny Kindle was a BIG advantage for this student. This reinforces the previous point above Mobile Learning. The penetration of mobile devices into the student body is now driving textbook publishers to devote more resources to eTextbooks. So what can you do about this? If you are a textbook author, then encourage your publisher to make eTextbook versions of your book. If you are in the process of selecting a book for your course, then take the extra moment to compare if each of the titles you are considering has an eTextbook format. Making wise choices that facilitate students to learn “anytime, anywhere” will prove to be a win:win for both the students and the educational institutions involved. Free Resources. Ask any student and she will tell you “Free is King”. Whether you are an instructional designer or a professor, challenge yourself to scour the Internet to look for freely available resources that relate to the topic of your course. Critically evaluate each one and choose the best ones to integrate into your course. Yes – this takes time. However, if you do just a little bit every semester, you’ll soon have course chock-full of fantastically freely available resources that will make your course better. Better courses without increasing cost equals more satisfied students. That logic is easy to understand. Want an even better idea? Design a non-traditional assignment where you ask your students to scour the net and evaluate resources for quality. Let them do the legwork of finding the material and then you can integrate the best of found treasures into future iterations of the course. Brilliant! 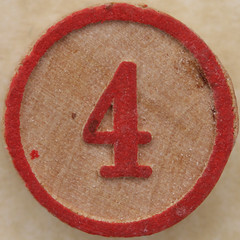 Do you have a comment about these Top 4 concepts or do you have a HOT concept for distance learning that didn’t make it into my Top 4, if so, please leave a comment below. Distance learning is definitely taking off. It seems that the online learning explosion has taken off... and what college student doesn't want some helpful stuff for free?? Nice article. I sat beside a college student on a plane who was taking her diploma program in Canada online while living in Keystone, Colorado. I asked her how she liked that and she said she loved it!! She and her boyfriend can go skiing during the day and she works on her courses on her own time. Brilliant!! I've used that last technique: getting students to scour the web for resources that support their learning. They're motivated by the assignment to discover resources that help them stay current in their field long after the class finishes. Most of them tell me it was their favourite assignment. And thanks to them, I get some great finds.